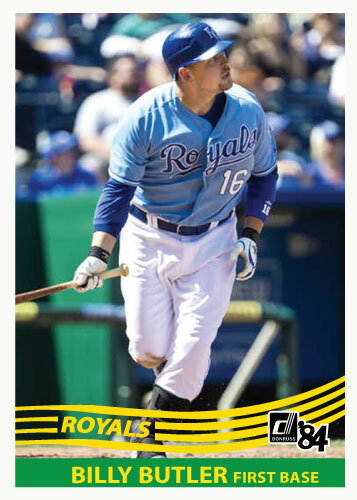 This is the second card in my Royals 1984 Donruss series. I plan to get the whole team captured in this set in their powder blue uniforms. This is a great picture of Butler, I think it captures the full body in action shots from the original set. Wow, that really jumps off the (web)page. Excellent work all around!! Thanks, I just can’t figure out what is so great about 1984 Donruss but it is just a nice looking card.